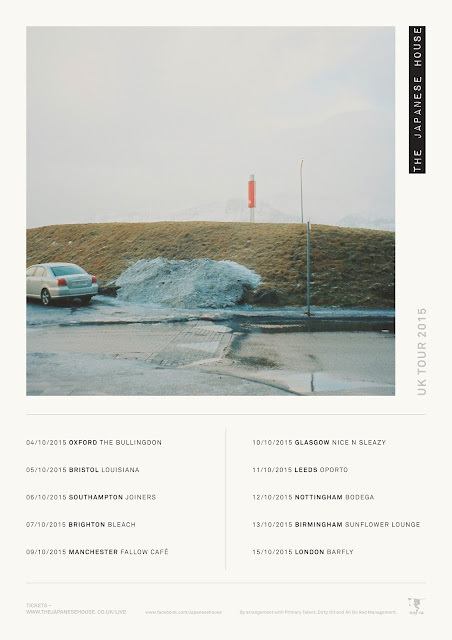 If you've been anything like me over the last few months, attentively following the every move of The Japanese House, the brainchild of 19 year old Londoner Amber Bain, news of her debut UK tour will surely make you as excited as I am right now. Taking her enthralling dynamic minimalism and arresting melodies out on the road for the very first time the tour will kick off in Oxford on October 4th before accumulating at London's Barfly on October 15th. Full details are listed below along with a link to purchase tickets. The Japanese House's debut EP, ‘Pools To Bathe In’ is available now released through Dirty Hit.